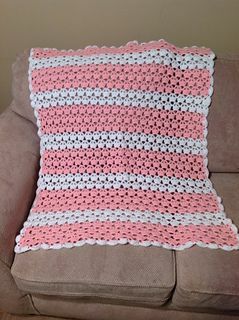 The cupcake is one of the cutest crochet stitches around — perfect for a baby's or toddler's blanket or as something special for a little girl. This stitch is sometimes also called the sultan stitch, but if you have a sweet tooth, you'll easily see the cake and frosting that makes this such a delectable pattern. For the cupcake stitch, you'll chain a foundation row in multiples of four, plus two chains for turning. Your first step is to chain three, counting as a double crochet. Then do a double crochet in the sixth stitch from the hook (not counting the loop on the hook). Chain two, and then double crochet into the same stitch you just double crocheted into. Now yarn over and skip three chains, double crocheting into the fourth chain. 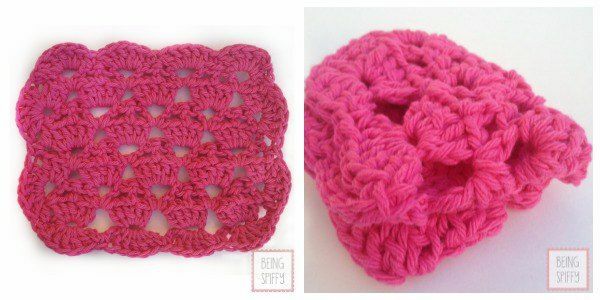 Chain two and double crochet into the same stitch. Repeat this pattern all the way across your foundation chain, and then chain one and turn. 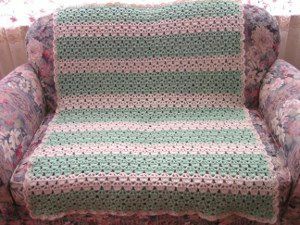 Double crochet into the space from the previous row. This helps to keep a nice straight edge. Find the first two-chain space and work four double crochets into it. Go straight on to the next two-chain space and again work four double crochets. Carry on with this for the rest of the row. This forms the "case" or bottom part of your cupcake. At the end of the row, again to keep the edges neat, put a double crochet into the top of the three chains from the row before. Chain one and turn. Do one double crochet in the big gap left from the previous row, and then chain two, and then do another double crochet in the same gap. 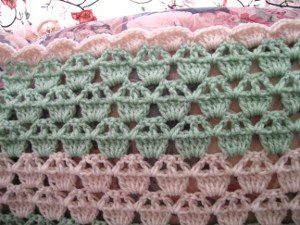 Skip the four double crochets from the row below, and then double crochet into the next gap, chain two and double crochet again. Continue all along the row, and then chain one and turn. 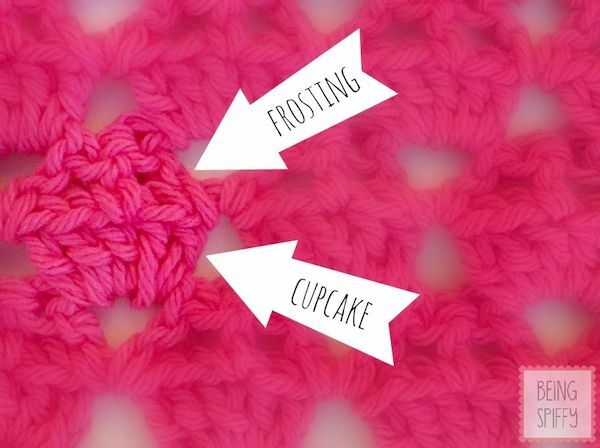 Now in the first two-chain space, do two double crochets (this makes half a cupcake). Move straight on to the next space and do four double crochets. At the end of the row, do another two double crochets (half a cupcake) to keep the pattern even. Now that you've got the pattern, there'll be no limit to the cute creations you can make with this delicious stitch. 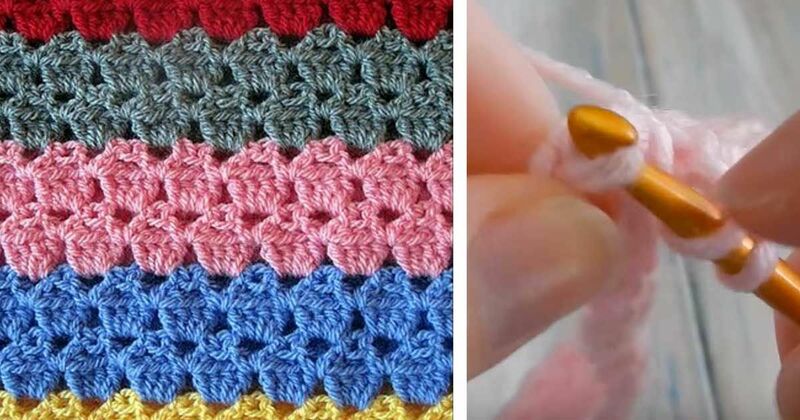 If your crochet doesn't turn out right first time, then just repurpose it with our guide!